The Vandals were a large East Germanic tribe or group of tribes which migrated from southern Scandinavia and settled in Silesia from around 120 BC. Expanding into Dacia during the Marcomannic Wars and to Pannonia during the Crisis of the Third Century, the Vandals were confined to Pannonia by the Goths around 330 AD, where they received permission to settle from Constantine the Great. Around 400, raids by the Huns forced many Germanic tribes to migrate into the territory of the Roman Empire, and fearing that they might be targeted next the Vandals were pushed westwards, crossing the Rhine into Gaul in 406. In 409 they crossed the Pyrenees into the Iberian Peninsula, where their main groups, the Hasdingi and the Silingi, settled in Gallaecia and Baetica respectively. 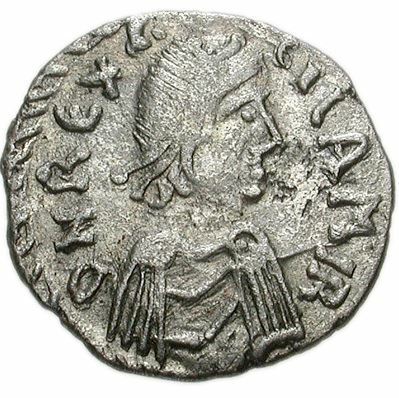 In 429, under king Genseric, the Vandals entered North Africa. They established a kingdom which included the Roman province of Africa as well as Sicily, Corsica, Sardinia, Malta and the Balearic Islands. They fended off several Roman attempts to recapture the African province, and sacked the city of Rome in 455. Their kingdom collapsed in the Vandalic War of 533–4 against Justinian I.